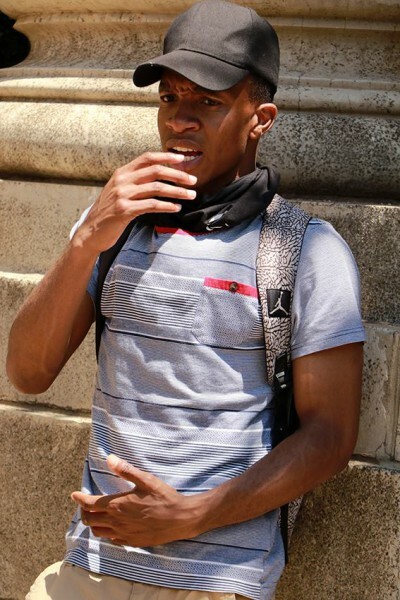 A formal complaint has been laid against the Wits Student Representative Council president for remarks he made during the O Week welcome day. COMPLAINT: Wits SRC President Kefentse Mkhari. Photo: Dinesh Balliah. Kefentse Mkhari was speaking as the head of the SRC at the welcome day, last Sunday, January 29, on the Library Lawns. The event was attended by new students, their parents and other staff and students. Wits university’s spokesperson, Shirona Patel, confirmed that “a formal complaint has been received by the university against the SRC president,” but did not comment on the nature of the complaint. She also did not disclose who the complainant is. Mkhari could not be reached for comment by the time of publication. A video taken by a Twitter user (@Vuyani Manyike) shows parts of Mkhari’s speech in which he spoke directly to the vice chancellor but it is not clear if these are the remarks at the centre of the complaint. Follow the story on www.witsvuvuzela.com as it develops.